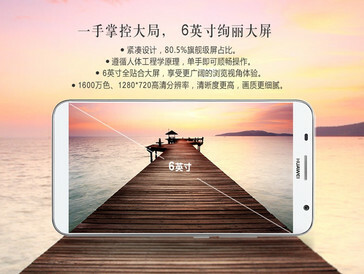 The recently-unveiled Huawei Ascend GX1 is a Chinese-bound smartphone with a 6-inch display, average specs, and a fairly low price. After officially unveiling the Honor 6 Plus last week, Huawei recently unveiled yet another smartphone, namely the Ascend GX1. Unlike the Honor 6 Plus flagship, the Ascend GX1 is a smartphone with average specifications that's designed to compete in the cheap phablet segment of the Chinese smartphone market. In addition to a 6-inch display with a resolution of 1280 by 720 pixels, the Ascend GX1 also comes with a 64-bit Qualcomm Snapdragon 410 quad-core chipset, 1GB of RAM, an 8MP primary camera, a 2MP front-facing sensor, and a 3500mAh battery to keep the lights running. Huawei has integrated just 8GB of internal storage, but users who need more space can use a microSD card of up to 32GB in size. Like most Chinese smartphones, the Huawei Ascend GX1 also comes with dual-SIM support. 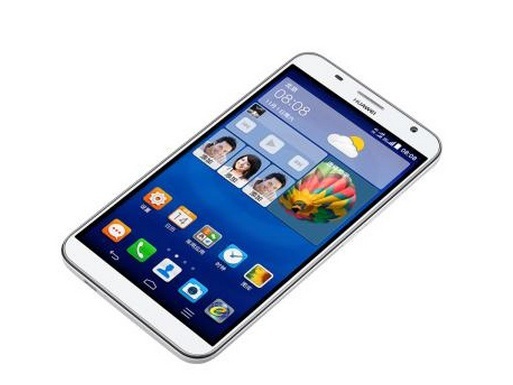 On the software side, the Huawei Ascend GX1 runs Android 4.4 KitKat overlaid with a custom UI from the Chinese manufacturer. The Ascend GX1 is entirely made out of plastic, and it probably won't win any build quality awards. Despite this, it's interesting that the GX1 features a screen-to-front ratio of 80.5%, making it far more compact than any other entry-level phablet that we know of. In China, the smartphone costs CNY 1,590 (the equivalent of roughly $255) and is already available for purchase from Huawei's online store. 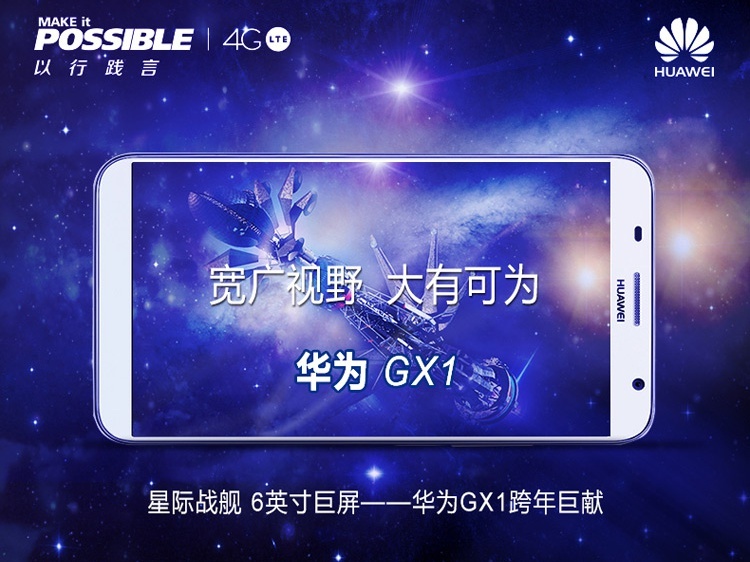 At the moment, it is unknown if the Huawei Ascend GX1 will make it to Western markets, but we'll keep our eyes peeled for more info.